Many are the blogs & radio shows I’ve posted & discussed concerning the many physical impacts of living through trauma and some of the harm which leaves permanent physical damage to our bodies from being beaten and thrown around. Also, as my online family & friends I’ve shared with you about the problems I’ve been having of late with my health and trying to get back into the swing of things. Well this is a writing about one of the physical conditions I am left wounded with, but what I’ve found out is that many of the badly beaten and thrown around souls out there have injuries just like mine from extreme physical trauma to our bodies. Do you know what Syringomyelia is and how it impacts physical & neurological aspects of our person? Medical definition as found here in a publication of ‘SPINAL CORD MEDICINE; Principles & Practices – This was published in 2003 and if you research the diagnosis you will not find much that is up to date. In fact what I’ve found here in and around one of the country’s best medical arenas and medical studies St. Louis, Missouri. Anyway, to go on with what I was aiming for here. This is an absolutely horrible diagnosis which represents with ongoing digression of certain neurological functions. It also continues in a heavy cape of pain, inflammation throughout the upper extremities and a progressive lack of muscular function, fine motor skills (keyboarding, writing, dishes, laundry, pushing, pulling, the bottom muscles of my arms, shoulders and neck are in a noticeable change and with intense breakthrough pain despite the heavy to medium dosage of pain medications.) 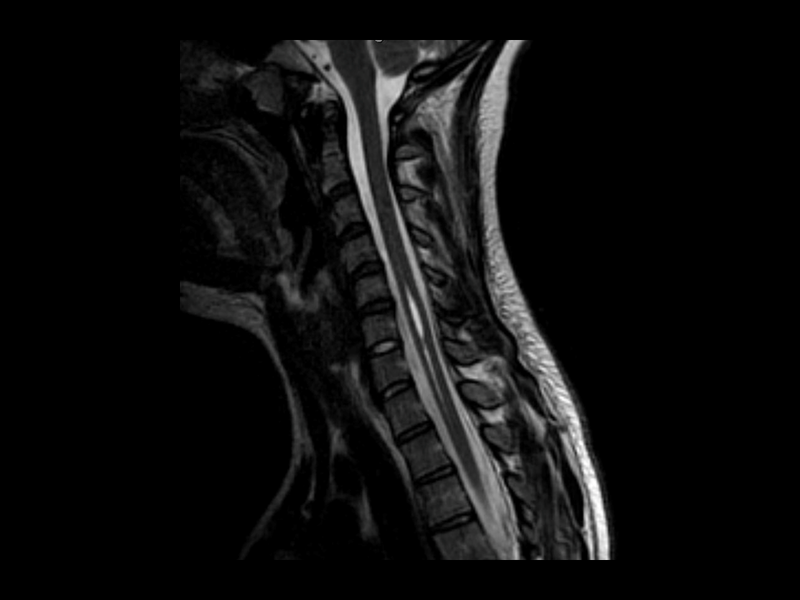 There are multiple Cervical Syrinx accompanied with multiples of vertebral and disc protrusion damage. At another point of the Post Traumatic Spinal Cord Trauma, there is an extending Thoracic Syrinx from T3 – T9 level. 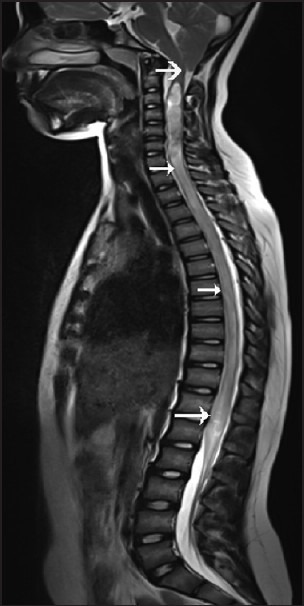 As the Thoracic Syrinx comes to a smaller sized tubular cyst, the multiples of Lumbar Damages begin to show. Here are a few MRI images I grabbed from the net this morning, which show how they look inside the SPINAL CANAL with/without contrast. 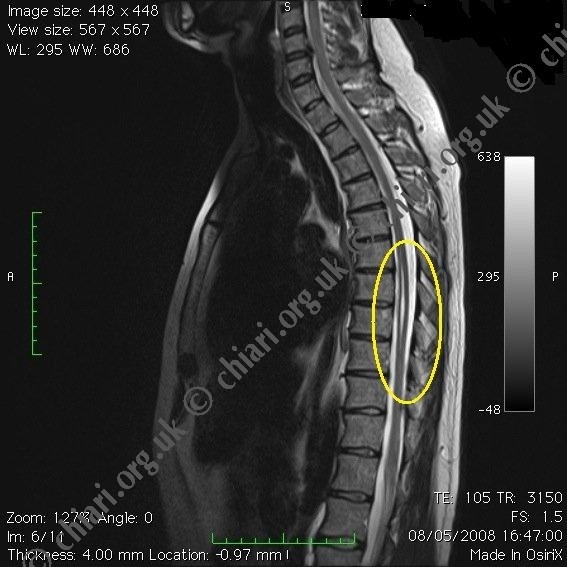 The ones I’ve loaded are the closest and most accurate size and image of what exists on my results taken some five years ago, then again with some changes in 2013.- NOT MY MRI – largely similar, but with existing multiples of disc & vertebral damages. The first reason I’m sharing is to explain exactly what is a direct result of years being beaten and the last deeply wounding permanent injury in 1997. This caused the initial disability and then has progressively gotten more intense from the corresponding Fibromyalgia diagnosed back in 1995. Studies show this diagnosis is very familiar in person’s of abuse/violence. We have a disrupted Fight or Flight function and our bodies remain in a continuing hyper alert sensitive status, complete with cramping & burning. Also along with this damage I have COPD w/ Emphysema; Complex PTSD, Generalized Anxiety, and battle with some mild depression issues which usually go on a cycle depending much to our weather and being able to get out in the sun, warm the body & spirit. Now for those who are personal family & friends with me, those who follow to see what’s up on our radio or contact me for assistance, please be patient with me. At this time the function of muscles on the under/outer side of my extremities is suffering changes and an decrease in ability, impacted by the pain of what’s shared above. I am trying very hard each day to find some ways to gain some relief and a physician who truly understands the treatment for this type of medical problems, rather than writing me off as an emotional mess. WHERE IN OUR MEDICAL SOCIETY CAN I FIND SOME HONEST & EFFICIENT TREATMENT ASSISTANCE???? My current pain management treatment has been relatively the same for a period of FIVE YEARS, since 2009 with the same physician. Anytime I’ve gone in with a complaint issue appointment related to increased levels of neuropathic pain and noticed changes in function, he ignores what I say and has actually tried to note me as being Bipolar. Now don’t get excited because my Psychiatrist and Therapist who have been treating me since about 2005, say there is no reason to determine any form of Bipolar or Personality Disorder Exists. Just to confirm, no diagnosis of Bipolar Disorder or other form of Extreme Personality Disorder Exits. As I also shared above I do have Complex PTSD and other hyperactive emotional difficulties & Fibromyalgia. 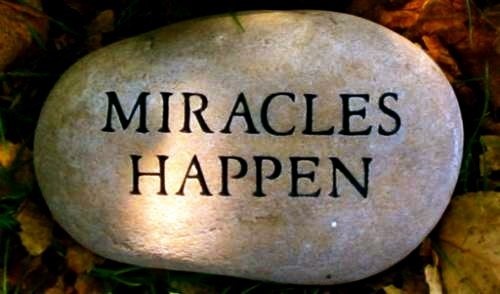 For those wonderful Butterfly Dreams Abuse Recovery & Talk Radio supporters, board members, volunteers; I will catch up with all of you soon. At this time we are doing what we can and any of your assistance or support is truly appreciated. I am here for those in need of immediate safety or supportive assistance. 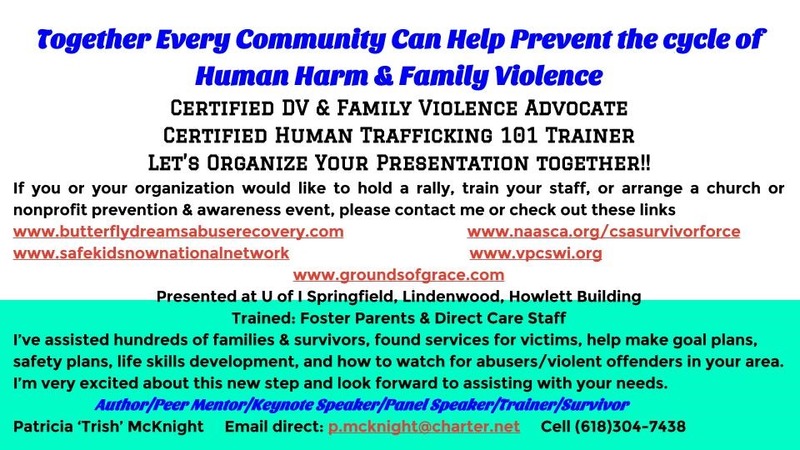 I will always do what I can to support or help you develop a safety plan to get out; this applies for Men, Women, and Teens caught in abuse, violence, or trafficking issues. The Butterfly Dreams Team Members will always help get you to the support you need; it is actually a requirement of our volunteers and board members. We try to do our very best as a team. Our staff and supporters are around the world in various locations, so if you need assistance and we have not worked directly with you, please visit our website, check out the information we share & do, then if we can help you there is a contact form on the website itself or you can reach out via Facebook or Google Plus, all of these links are listed below. We all must continue the support of safety and EQUAL RIGHTS TO SAFETY, SHELTER, SUPPORT FOR ALL BEINGS!!! Be well to one and all incredible angels, when you make the choice to become your own FAMILY DEFENDER then you have made an incredible voice for change. This is a statement we should all strive to meet. Think about the numbers of lives we can change as we learn about the medical, emotional, physical and other types of wounding from these dangerous environments; also learning to provide the right guidance and assistance within every small community around the world. We are changing the world by changing the impressions and teaching we pass on to the next generation. If we talk they will talk and be more comfortable when reaching out for help. It is in our silence we continue to shame victims, trap them in a self blame attitude and with the belief that society does not care and will not provide the types of support needed for individuals. We cannot remove every person being harmed or force every victim to talk or reach out. 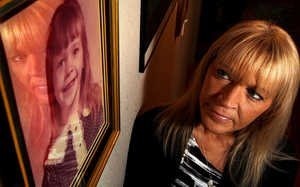 What we can do is help every person who needs some type of help, from parenting skills to rescue. Please be a supporter and make the right choice when you come across someone brave enough to discuss what is happening. 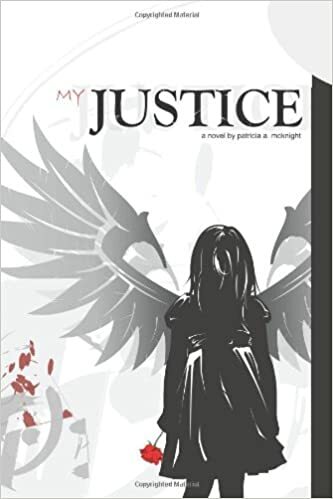 Coming soon will be the personalized readings of ‘My Justice’ for those who are interested in an audio copy. Please contact me personally if you are interested in one of these voice recording copies.